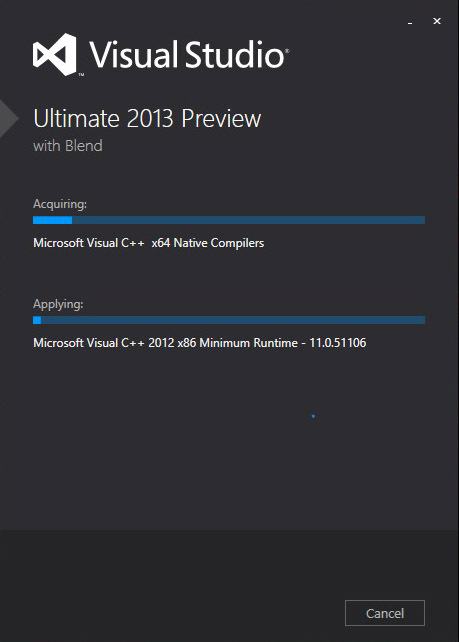 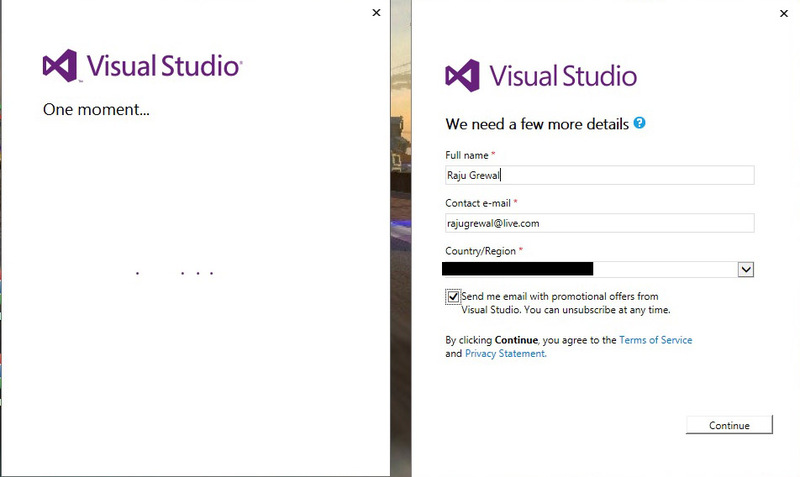 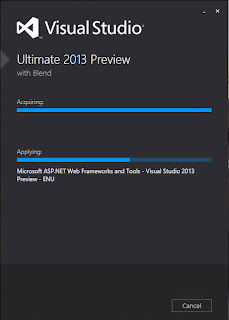 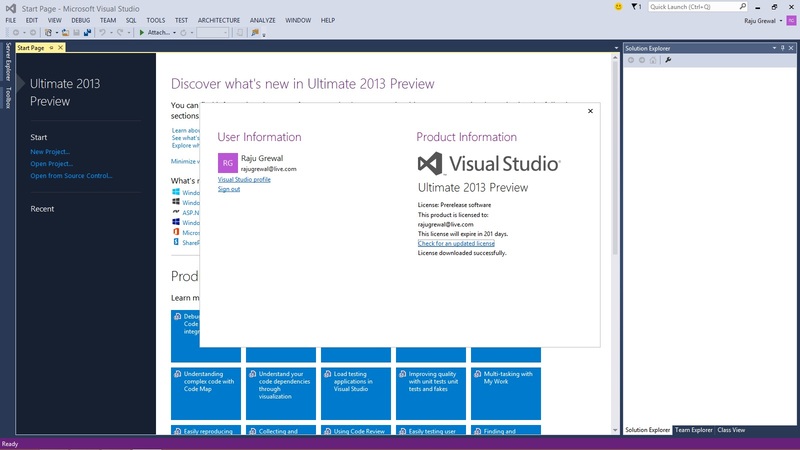 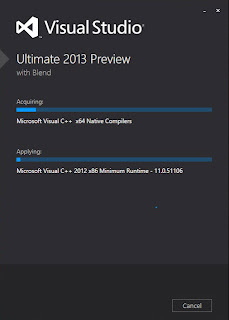 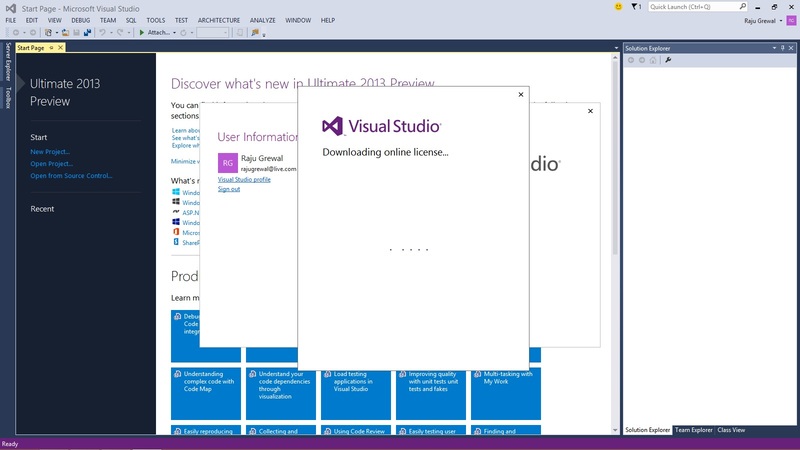 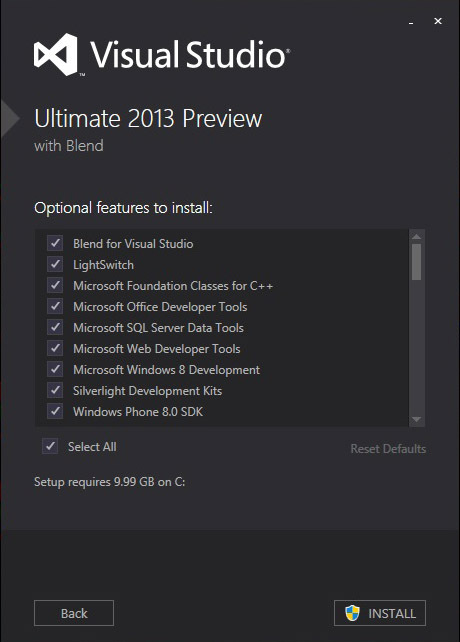 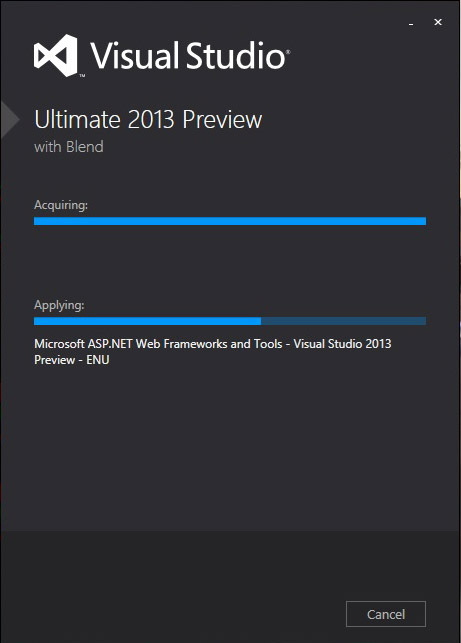 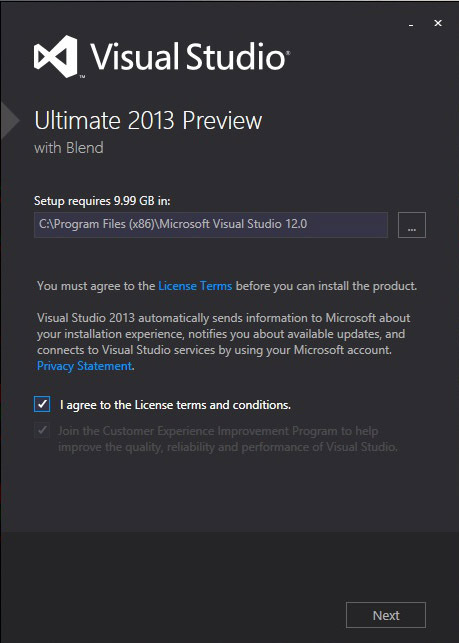 Visual Studio 2013 Preview Available For Download. Visit Microsoft site and download it. 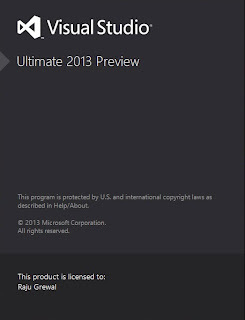 I'll suggest you to download iso image of this. 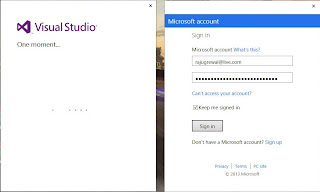 Mount the iso image in a drive, then run setup. 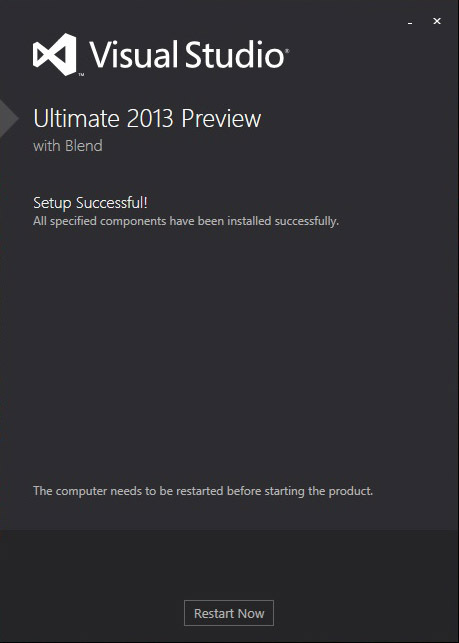 Select file location where you want to install it. 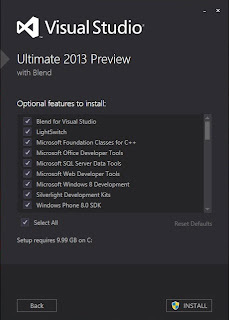 Select features which you want to install and click on Install button. 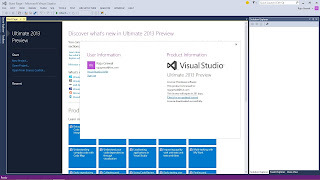 After install save your unsaved data and click on Restart Now button. 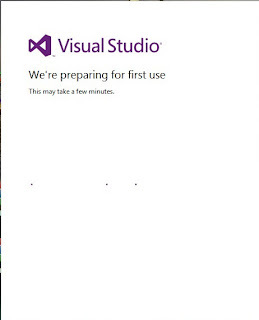 Now your computer will restart(It will take some extra time). Sign in and fill required information. 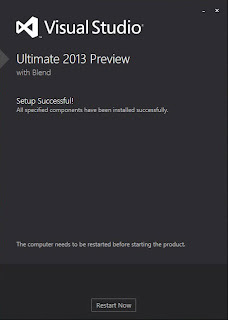 And click on Continue button. 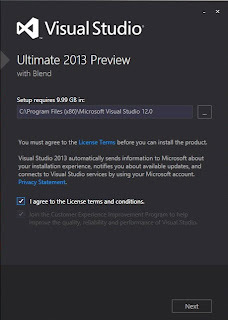 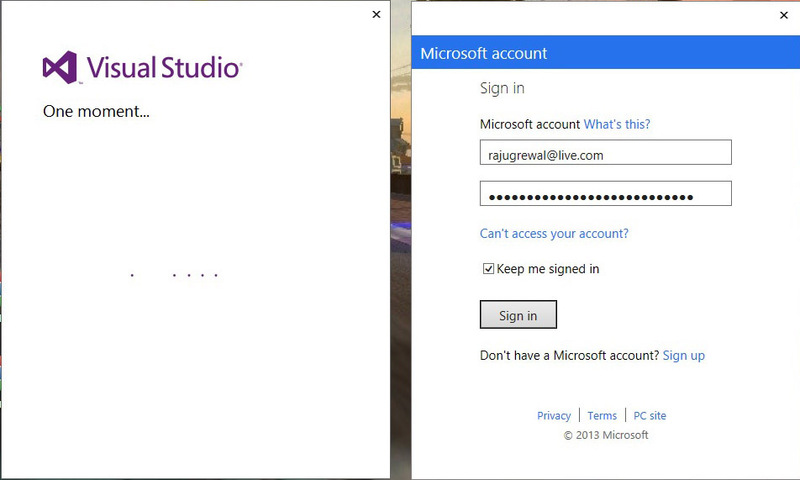 Now visual Studio 2013 will start. Download licence.